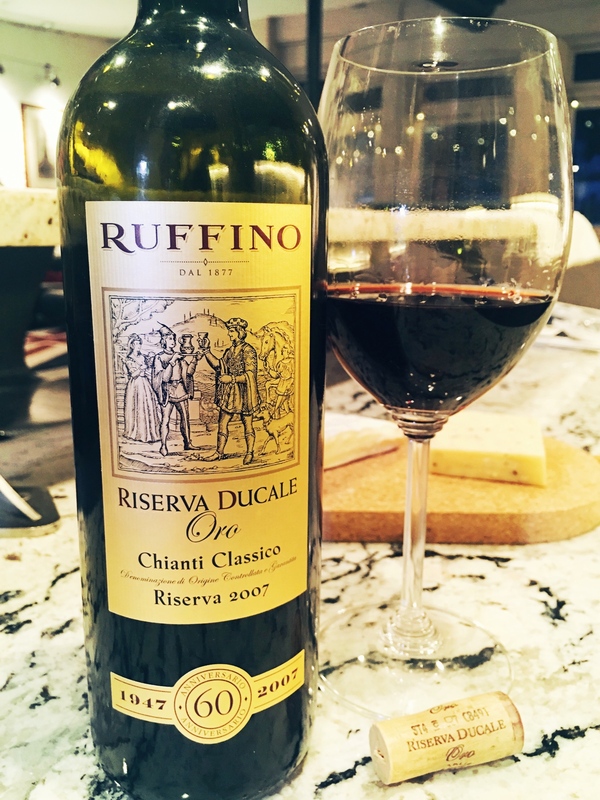 Estate: Cousins and Tuscan natives Illario and Leopoldo Ruffino founded The Ruffino estate in 1877 with a dream to make well-known wines in the heart of Tuscany. In 1913, the winery was sold to the Folonari family, and generations later the estate has established itself as a leader in Chianti, creating modern wines for “the contemporary lifestyle” by using a blend of century-long tradition and current technology. Purchased in 2011 by Constellation Brands, the estate is still headed by the Folinari family; Adolfo Folinari, and are “renowned for consistency and quality”, crafting all of their wines to be enjoyed with food. Winemaking: Twenty years after the first release of ‘Riserva Ducale’ in 1927, ‘Riserva Ducale Oro’ was produced to commemorate an exceptional vintage year. Continuing the tradition today, Riserva Ducale Oro is only produced in the best vintages, “If the grapes don’t meet the winemaker’s exacting standards, the wine will not be made.” The commemorative label celebrates the 60th anniversary of production. Grapes are sourced from the estate vineyards Gretole and Santedame. The wine is aged for 36 months, part in oak, part in stainless steel and part in concrete vats. Tasting Notes: Dark garnet with brick edges in colour, with aromas of plum, leather, black pepper and a hint of earthy funk. Concentrated cherry, current, and plum flavours harmonize with earthy truffle and wisps of smoky oak. Licorice, black pepper along with a hint of espresso comprise the lengthy finish. Smooth and well balanced, light tannins and acidity make this pleasant on its own, or with a variety of standard, classic dishes [such as tomato based dishes, roasts, risotto]. Pairing Suggestions from the Winery: Traditional Italian dishes such as pasta Bolognese, wild boar ragù, and eggplant Parmesan. It’s also wonderful with classic American dishes such as grilled ribeye and roasted vegetables.